“Students Choose Knowing the World, Not Fighting with It.” Through these grammar and vocabulary lessons, my 9th grade students learned to care for words and their writing improved. The greatest, most urgent news for American education is that through the Aesthetic Realism Teaching Method, students’ boredom, failure, desire to fight with people and the world change to real, solid learning—and the pleasure and pride that come with it! I am enormously proud to say I have seen this method work magnificently in my high school English classes for nearly 30 years. I tell here about one lesson I taught my 9th grade students at Norman Thomas High School in Manhattan. Eli Siegel explained that the purpose of all education is “to like the world through knowing it,” and it can be liked because it has a permanent, beautiful structure—the oneness of opposites. Opposites crucial in both education and every student’s life are sameness and change. Whenever we learn, take something new into our minds, it changes us yet makes us more our true selves. But when a person has trouble learning he or she feels, unconsciously, that words, facts, ideas—are not worthy of getting into his or her mind. This is one big way I saw my students fight with the world. Many of these young people were angry, feeling the world they had met was frighteningly unsteady on the one hand, and horribly unchanging on the other. They lived in neighbor­hoods they feel, with good reason, are dangerous. Many know people who have been shot. Their families are ravaged by our brutal economy. Some parents are out of work; others are stuck in low-paying jobs on which they barely support their families, or are on public assistance. A person will engage in a warfare with words . . . because that person is in a steep fight about how to see the world itself . . . . Every word happens to be a liking of the world: an affirmation, an honoring of an aspect of the world, through naming it, and through millions of people agreeing for centuries on that name. . . . As a child . . . is in a swirl about whether to care for the world or get away from it—she will be for and against words variously too. The students in this class had been specially selected because of their very low scores on junior high school standardized reading and writing tests, and low grades in language arts classes. I wanted very much to teach them, because I knew that the Aesthetic Realism Method could show them that words and language stand for a world that they can like, and which they would want increas­ingly to take into their minds. Early in the term I saw both dullness and agitation in my students. They often mocked each other—including with ethnic insults—hid each other’s bookbags or pens, and some talked continually during a lesson. Miquel Vargas* said disgustedly, “I hate books. I hate reading”—often not even attempting to do any class work, afraid, I later learned, that he would do everything wrong. He went from frantic activity and talking loudly to sinking down in his chair with his head on his desk. Kisha Banks taunted young men, provoking angry responses from them while she acted innocent. She told me she needed no help—she understood everything just fine. Meanwhile, following written directions was hard for her; and she read aloud haltingly. Shu Lan Chen, who came here recently from China, didn’t talk much to the other students who were Latino and African-American, and they didn’t talk to her. Melinda Suarez sat with a vacant smile on her face, rarely spoke, and wouldn’t do any work unless I stood right next to her. She showed, in a quiet way, a determination to keep the world out. Many of these young men and women had a hard time writing complete sentences, and for some, writing anything seemed painful—nearly impossible. When they did write, many words were misspelled; sometimes key words and ideas were left out; and sentences were left off in the middle. When they said they wanted to do better, I told them I respected this very much, and would do everything I could to encour­age them, and I am grateful to describe some of how this occurred through our study of what are called form-changing suffixes. Do Suffixes Show Sameness and Change Can Make Sense? I wanted my students to see that English words have a logic that can be counted on. I told them many words have what is called a root which remains the same as different suffixes—groups of letters added to the end–change that word. I put two words on the board—”create”; “creative”—and asked “What’s the differ­­ence between them?” Eneida said, “One has -ive, but they mean the same thing.” “Can you use them in exactly the same way in a sentence?” I asked. She didn’t think so, but couldn’t say why. I wrote on the board, “The students in the dance class like to creative new dance steps.” “No! Ugh!” they shouted. “That doesn’t sound right!” When I asked how we could change it to make it sound more exact, they said, “Write ‘create’.” As I wrote “The students in the dance class like to create new dance steps,” there was an audible sigh of relief: it fit. The reason is in what Shu Lan said: “We needed a verb”–and “create” is a verb! I told them that -ive and -ity are called derivational—or form-changing—suffixes, which our Macmillan Grammar and Writing book describes as “meaningful group[s] of letters that can be added at the end of a base word or word root to form a new word with a different but related meaning.” “As we add this kind of suffix to a word,” I said, “while the central idea remains, something also changes. The word, because it changes, can do more things in a sentence, and be in different relations to other words”—it can be more itself. For instance, it can be a noun, a word that we learned stands for being, rest—representing a person, place, thing or idea; it can have motion, as a verb; it can be descriptive, as it becomes an adjective; and more. “Is this what we want to have happen to us,” I asked—”that when we meet something new, it changes us, adds to us, enables us to be in new relations to the world, having us be even more the people we want to be?” Seeing this was a combatting of the deep feeling my students had that new things wouldn’t enable them to be more themselves, but rather, would lessen them, and that they had to keep these things away. And I was very moved to see how much they wanted to give examples of where new experiences added to them. They Stopped Fighting—and They Learned! As we learned many different form-changing suffixes, my students worked seriously and happily, trying to see how many ways words could change form, while main­taining the same essen­tial meaning: for instance, the verb “prefer” changed to the noun “preference” and the adjective “preferential”; the adjective “simple” changed to the verb “simplify”, and then further changed to the noun “simplifica­tion”. Then I asked, “Can we add just any suffix to any word?” Suppose I wanted to add the suffix -ment to “create” to make a noun. Can we do that?” They tried out: “Createment.” “That’s not a word,” said Marco definitely. “Right,” I said, and we can ask why people felt “creativity” should stick as a word, while “createment” didn’t make it. There was a sense of wonder as we tried other combinations. Some made words; others didn’t. Which suffixes we add, and how, we were seeing, is crucial. We need to do so in a way that is fair and exact; otherwise, instead of adding new mean­ing, we take away meaning or distort it. “Is that what happens in life too?” I asked. “Can we add something to ourselves in a way that changes us in a bad way, brings out possibilities that aren’t good?” “Yeah—drugs,” said Eneida. “Hanging with a gang,” said Glenda. “You can do bad things together.” “Dissing people” which we saw always comes from making yourself big by making other people look stupid. I saw I had been insufferably patronizing in the classroom and gave my students the impression I was doing them a tremendous favor imparting my vast knowledge to them. I set “guidelines” that I knew they would never be able to meet, acted as if they were making too many demands on a nice person like me, would be alternately cool during a lesson and then admonish them in a sanctimonious way about how they were disrespectful—and all this made my students understandably furious. The criticism I heard made me a better teacher immediately! And my students were grateful! I feel very strongly that every teacher, as part of his or her training, needs to learn how to criticize contempt in oneself. In the class I have been describing, Danny Stokes was very much affected by what we were learning. He has been in a fierce battle with the world and words. He had a very hard time writing a clear sentence, and changed the spelling of even the most common words. At times, he’d be attentive, participating thoughtfully in discussions, then suddenly become distracted and be unable to sit still—slamming shut a dictionary in which he couldn’t find a word, getting up to throw out a piece of paper or get a drink of water, playing with an electronic game, turning around to tease someone. Through seeing that something happening to a word could make it stronger, freer, more itself, he was better able to concentrate, and when I said we would be continuing our study of form-changing suffixes, he said deeply, “It’s really interesting. You can learn a lot about words.” “Do these words do what we want to do—be ourselves while changing in exciting ways?” Yes! he said. The students were changing how they saw words. “I liked learning about suffixes,” said Glenda, who earlier had talked during lessons. She was listening now, and kinder to other students, encouraging Melinda Suarez, who had been too quiet to take part in lessons. Peter said, “This is the first time I understand what adjectives, nouns, and verbs are. I was so confused about that; I never thought I would get it!” Miguel, who had earlier said he hated books, is reading, and liking it, and he said, “I’m writing better now.” He is, in complete sentences! Some days later, we began to read one of the most moving and loved books of the 20th century: The Diary of a Young Girl, by Anne Frank. The relation of sameness and change in her life was tragic and horrible. Yet, as my students learned about how a German-Jewish girl living in hiding with her family in Nazi-occupied Amsterdam in the early 1940s met the world, they saw a relation to what they experienced and came to have large feeling about other people different from themselves. It’s an odd idea for someone like me to keep a diary; not only because I have never done so before, but because it seems to me that neither I, nor for that matter anyone else, will be interested in the unbosomings of a 13-year-old schoolgirl. Still, what does that matter? I want to write, but more than that, I want to bring out all kinds of things that lie buried deep in my heart. 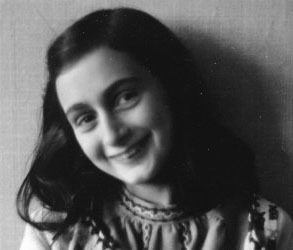 We came to an entry in which Anne Frank writes: “Term time has begun again, I’m working hard at my French and manage to pump in five irregular verbs per day.” I asked the class how many of them wanted to study another language in school. Every hand shot up. Miguel, who earlier had said he hated words, and whom I had been critical of for insulting other students with racial jokes, had a sweet expression on his face and said, “You can learn about another culture and other people. I want to learn Chinese.” Shu Lan was surprised, and very pleased. Suddenly, everyone began to ask her questions about how to say things in Cantonese, about how she felt when she first came to New York, about the small town in China where she grew up. Students from small towns in the Dominican Republic compared how they pronounce words in Spanish and how those from the city pronounce them; others from Puerto Rico and Mexico also compared notes. I am grateful that I had these students again for the spring term, and that we had a chance to learn more how English, its grammar, vocabulary, and literature, embodies the world we were all born to know and like. The fact that students who were seriously at risk are learning, are reading, are kinder—want to know the world rather than fight it—is the most urgent news for American education! It is the pride and great joy of my life to know that through the Aesthetic Realism Teaching Method, real learning, proud learning, exciting learning, can be in every single classroom! *The names of the students have been changed. See descriptions of other lessons about the success of the Aesthetic Realism Teaching Method in ELA classes.